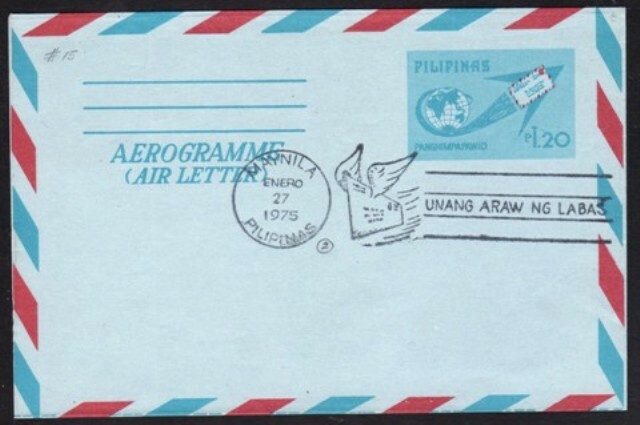 1975, January 27. 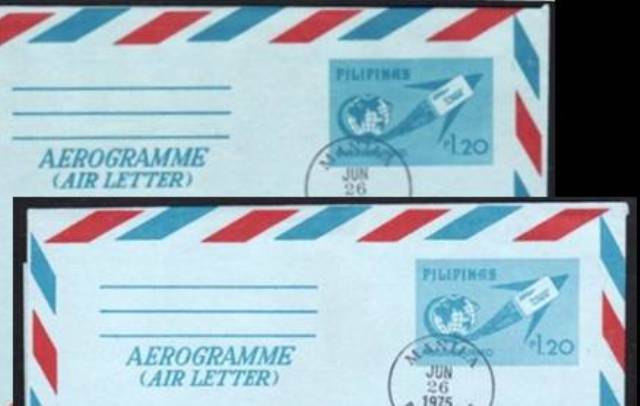 1p20 Globe and "Flying" AIR MAIL Envelope, Blue & Red (Shades), on Light Blue. 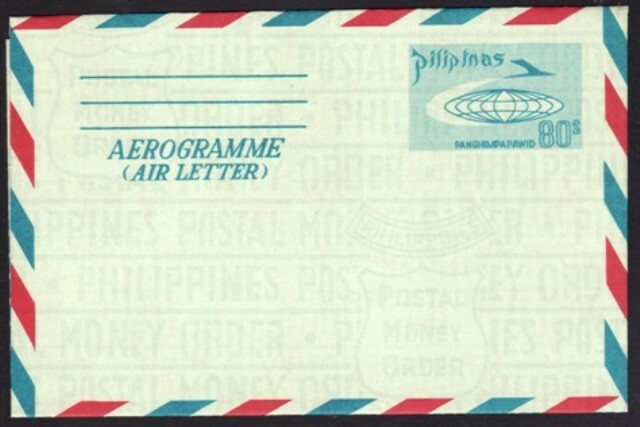 AEROGRAMME / (AIR LETTER). Government Printing Office. 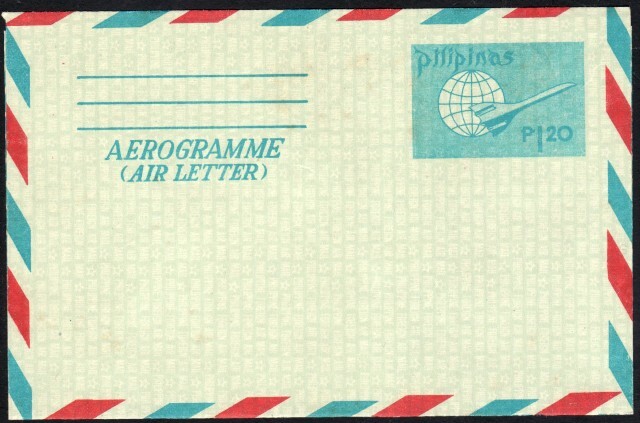 (151,000). 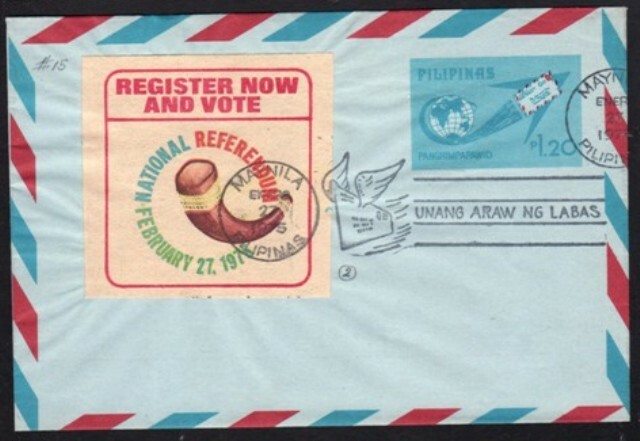 Note: Some FDCs have the National Referendum campaign sticker tied with the official FDC cancel. 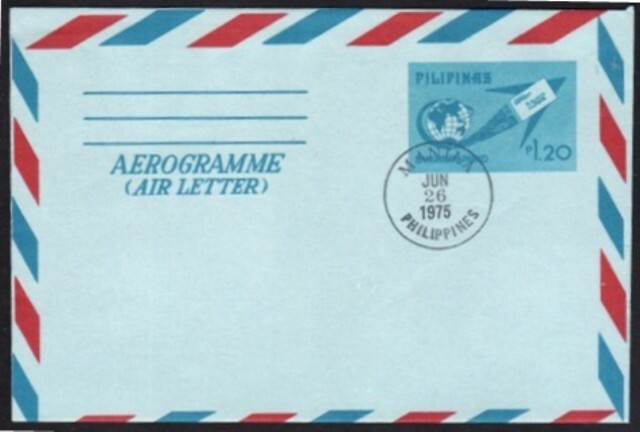 1975, June 26. 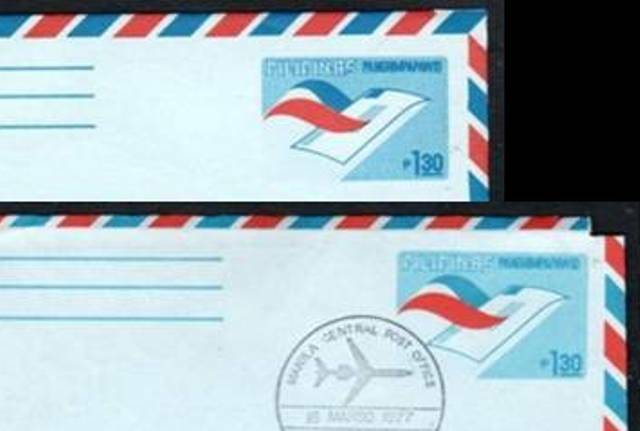 1p20 Globe and "Flying" PLAIN Envelope, Blue (Shades) on Light Blue, (Red Omitted). 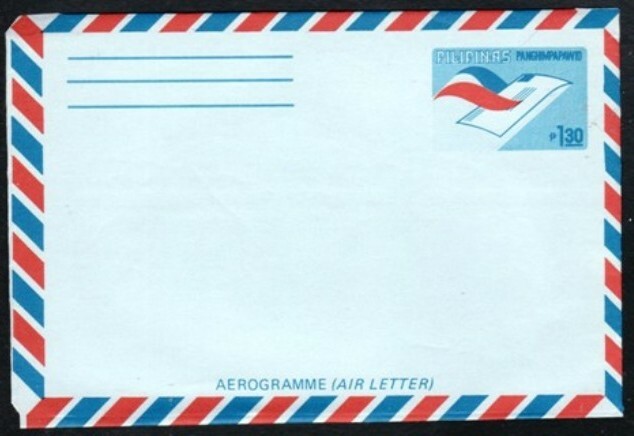 AEROGRAMME / (AIR LETTER). Government Printing Office. 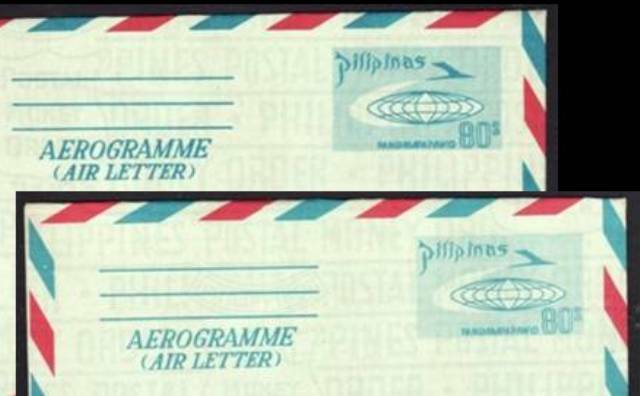 (960,000). 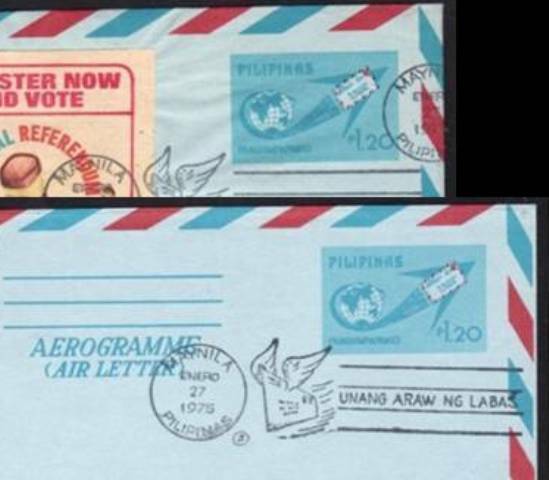 Note: Remaining stocks of the January 27 issue were delivered with the RED omitted on the “flying envelope” due to printing errors.